Part 2 of our 3-hour Q&A podcast! Please be sure to listen to part 1 first! In Part 1 we covered self-defence and kata / bunkai questions. In Part 2 we look at General Karate, and Training and Technique questions! A full list of topics can be found below. Thanks to everyone who submitted questions! This podcast is so big, it became two podcasts! This is Part 1 of what will be a 3-hour Q&A podcast! I asked for questions and then arranged them by topic. 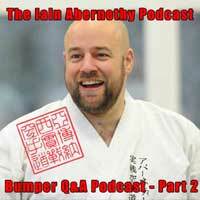 In Part 1 we cover self-defence and kata / bunkai questions! Topics covered are listed below. We also have some new comedy “sponsors” that I hope you’ll enjoy too! Thanks to everyone who submitted questions! Part 2 will be out tomorrow! In the second half we look at General Karate, and Training and Technique questions! Halloween is fast approaching! The barrier between the worlds of the living and the undead is growing ever thinner. On the 31st of October that barrier will be torn asunder as legions of terrifying beings spill into our world to wreak havoc upon the unprepared. 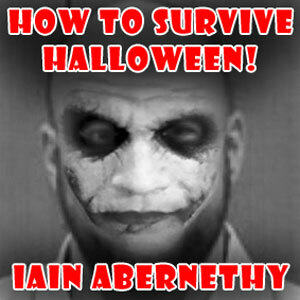 Thankfully this special podcast contains the ultimate martial arts guide to staying safe this Halloween! This podcast details all the creatures you may face on All Hallows Eve and explains how to use your martial arts skills to come out the other side in one piece! You will learn how to keep yourself safe from ghosts, vampires, werewolves, zombies, witches and more! - How to befriend poltergeists and use them to advance your martial reputation! “Times change, the world changes, and obviously the martial arts must change too. The karate that high school students practise today is not the same karate that was practised even are recently as ten years ago, and it is a long way indeed from the karate I learned when I was a child in Okinawa”. The second new podcast this month! While the first podcast is a workout, this one is information based. 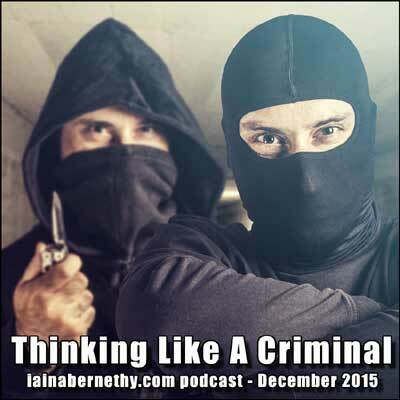 As you may remember, I recently put out a podcast which discussed the need to be able to think like criminals if we are to be able to effectively protect ourselves from them. 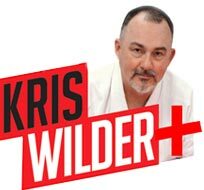 That podcast focussed on wider self-protection issues, whereas in this podcast I want to focus on the physical side of things. In particular, I want to quickly discuss two key elements of the criminal’s approach to violence that make them more effective than most martial artists. The criminal experiences and uses violence on a much more frequent basis than the vast majority of martial artists. It is a “tool of the trade” for them. They know what works! This new podcast is a workout! 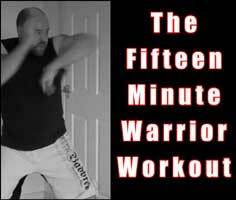 The actual training takes just over fifteen mins and it a mix of conditioning exercises and martial motions. It is ideal for days where you are short on time and want to train in a way that stimulates technique, endurance, strength, and mind-set. It consists of thirty seconds of a given exercise, technique or martial combination, followed by 10 seconds of rest. 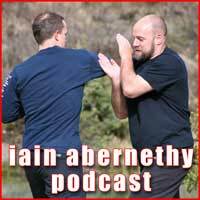 This isn’t an Iain Abernethy podcast … but it is a podcast featuring yours truly! Just before Christmas I was on the Karate Café Podcast (check it out!) and we had an enjoyable and wide ranging discussion! The folks at Karate Café have kindly let me share it here too and I hope you enjoy it! In the podcast we talk about training methods, street fighting vs. self defence, my regular dojo training, my seminars, my process of kata analysis, and quite a bit more besides! 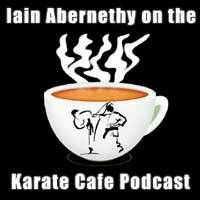 Be sure to checkout the Karate Café Podcast if you are not yet a subscriber (they have been going for ten years too!). One of the biggest problems I see when it comes to modern self-protection is the failure to understand just what we are protecting ourselves against. If we don’t understand the question, there is no way that we can give an adequate answer.